Among window types, one of the most problematic is wooden windows. Though they are beautiful, they cost a lot to maintain. Also, wood is no longer ideal in different climates. Hotter conditions can make it expand, warping the frame. Colder climates can lead to moisture damage, causing it to rot. 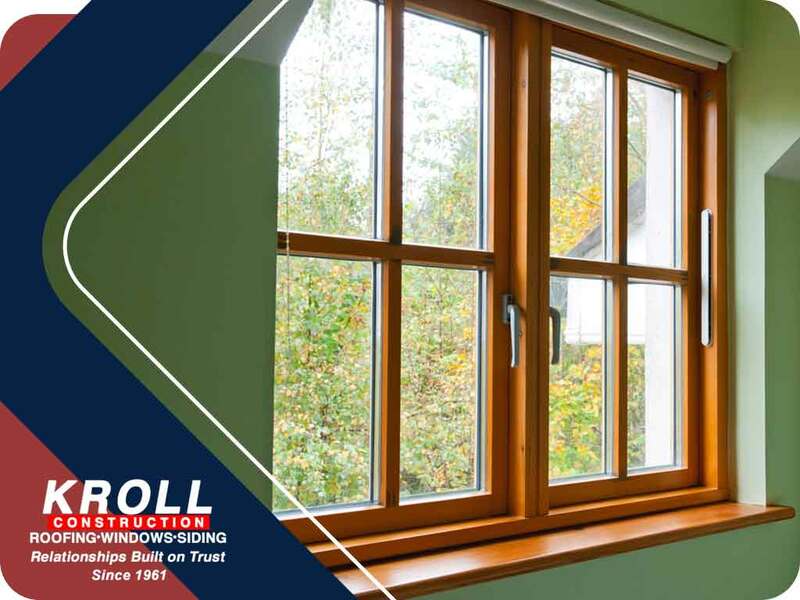 Here at Kroll Construction, your expert window company in Michigan, we recommend investing in a wood window replacement, specifically vinyl. Here are the reasons why. Maintaining wooden windows is difficult. You have to constantly monitor them, and apply resistant coatings often. Unlike other windows, wood is also more vulnerable. This could mean frequent replacements and repairs, which is not sustainable in the long run. When you switch to vinyl as a wood window replacement, you will enjoy a longer lasting product. Vinyl is incredibly low-maintenance. You can clean it annually, and it will still perform well. It is also more resistant, having better ratings against fire and rot. Wood windows are beautiful and extravagant, having the most authentic look possible. However, they can be expensive to install. They can also be more expensive to maintain. That’s why homeowners love vinyl. The material is inexpensive, and also easier to install. You still get the same quality of finishes that can mimic the appearance of wood. You also get a more durable product that can last longer and save you money on repair and maintenance. Admittedly, wood is a great insulator. Compared to more modern products, it’s still one of the best for energy-efficiency. However, the lack of resistances are not enough. Even though it can save you in energy costs, it will still get damaged easily. Vinyl, as a wood window replacement, can fill that role easily. Despite what skeptics believe, vinyl can perform just as well as wood. It is made of PVC, another insulating material. Also, we offer low-E glass. This can further reduce heat absorption, making your windows more energy efficient. At Kroll Construction, we offer the best vinyl windows in Detroit, MI and many other areas in Michigan. Learn more about our roofing and window services today by calling (844) 688-9632.